How To Tell If An App Is Safe? There’s no single, failsafe way to tell if an application you’ve downloaded from the web is 100% safe. Maybe it has some hidden virus or spyware. Not the kind of added extra you want, is it? Still, there are things you can do to make sure you’re only installing software you can trust. Apple’s App Store is about as reliable as it gets. Why? Because any app that gets listed in it must first go through a rigorous review process. It gets checked for safety, objectionable content, performance, even design. The massive user base also means there are plenty of reviews you can check out for any given app. Not all applications make it on to the App Store, and that doesn’t mean they’re necessarily bad. Because of the rigorous process – and also high costs – some developers can’t or won’t get their apps listed. You can Google these apps to find comments, reviews, and information about the developers and determine whether they’re safe. 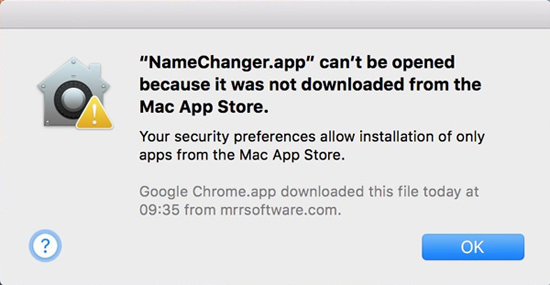 What to Do When Your Mac Won’t Let You Open An Unsigned App? After much searching you’ve finally come across that perfect app for making stop motion videos of your cat/turning your desktop into a jungle/photo editing yourself into a supermodel (or whatever). But when you try and install it you get a warning: the app can’t be opened because it’s from an unknown developer. This function is known as Apple Gatekeeper, which exists for the aforementioned reasons. If the app isn’t approved by the App Store, or at least produced by a “signed” developer (i.e., one that is registered with Apple), it’s automatically blocked for your protection.Again, this is nothing to freak out about. If you’ve gone through the steps above and determined that you trust the app and want to install it anyway. Locate the app you want to open in Finder, then hold down the ctrl button on your keyboard while you click on the icon. This will bring up a shortcut menu. On it, select “Open”. In the dialogue box that follows click on “Open” again to confirm.You only need to do this process once: from here on out, you can always open this app without Gatekeeper getting in the way. 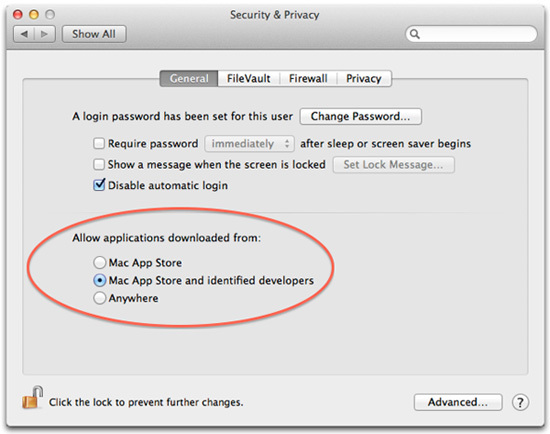 To change the settings for all apps: Open up the Security & Privacy settings box on your Mac. Under the “General” tab, there’s a section called “Allow apps downloaded from” that has three options: 1) Mac App Store 2) Mac App Store and identified developers 3) Anywhere. The middle one is most likely checked (by default). You can change this to “Anywhere” to prevent the warning box from appearing in future. Please note that to make changes in this section you may need to click the padlock on the bottom left hand corner to “unlock” it. What to do if you’ve installed an unsafe app? If you’ve neglected the steps above and installed something that doesn’t seem quite right, you’d best uninstall it. In order to ensure all the connected files and processes are wiped out, you can use an antivirus or anti-malware program. Nevertheless, how do you know which one to trust? It seems, my friend, we’ve just come full circle. As you already know (because you diligently read this article) your best bet is to hit the App Store first. Be wary of what you install, and with a little common sense, your Mac’s immunity will stay superhero strong. Security is something that is quite important for the safety and the security of being hacked. So it is really important to be cautious about the dangerous apps. Hope these tips will help.